Pratyahara is the 5th of the 8 limbs of Yoga and refers to withdrawal of the senses. 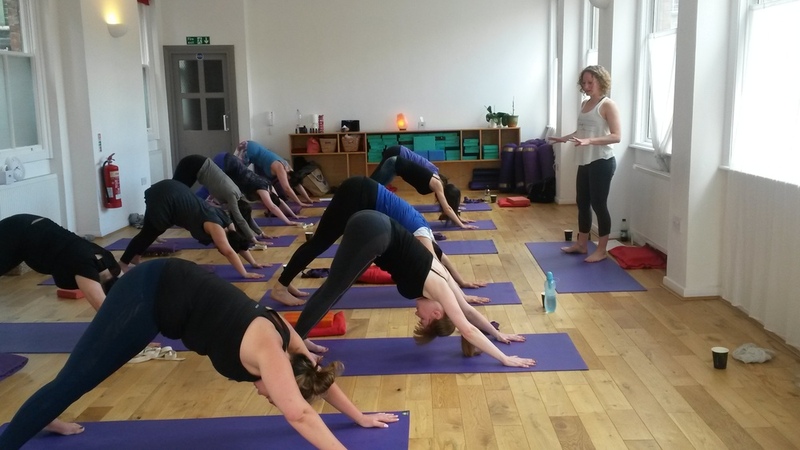 As we practice Yoga Asana (physical postures) we practice Pratyahara by using Drishti - a focus of the gaze to stop the eyes exploring the external surroundings. The gaze is directed to a specific directional point in each posture. We train the ear to the sound of the breath and this focus becomes a sort of meditation as we find a stillness in the mind. In this workshop we will begin with Pranayama (breathing exercises) and Meditation to start to bring the focus inwards. We will then use blindfolds for the Asana (physical postures) practice. The practice will be an open level, however it is not suitable for someone who has done no yoga previously. Variations will be provided to make postures available for varying abilities and energy levels.